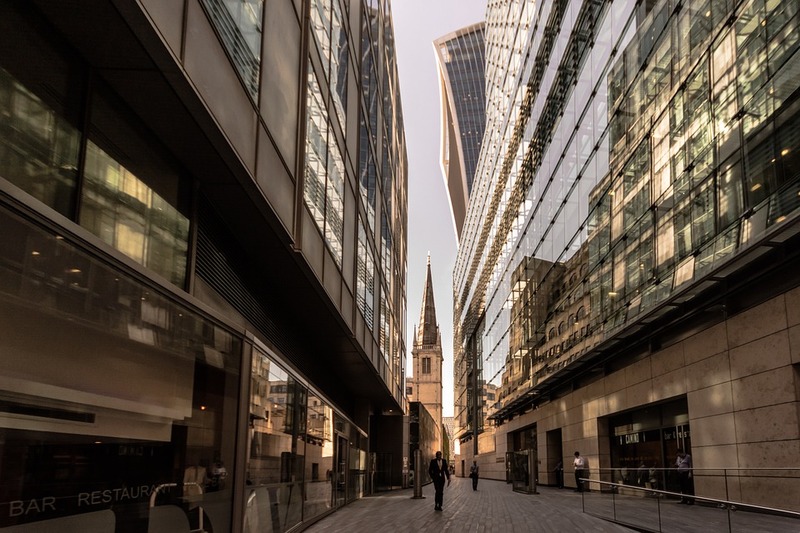 The British Property Federation (BPF) has launched a Technology and Innovation programme for the UK commercial property sector – to support the sector in its digital transformation – following the Government’s challenge to all sectors of the economy to improve productivity and deliver growth. 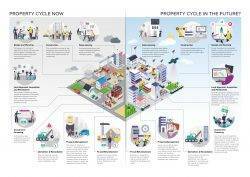 The programme is launched with the publication of a new report produced by Future Cities Catapult, commissioned by the BPF, to understand the barriers to and opportunities for improving the productivity of the real estate sector through the application of technology. The report Lost in translation: How can real estate make the most of the PropTech revolution? 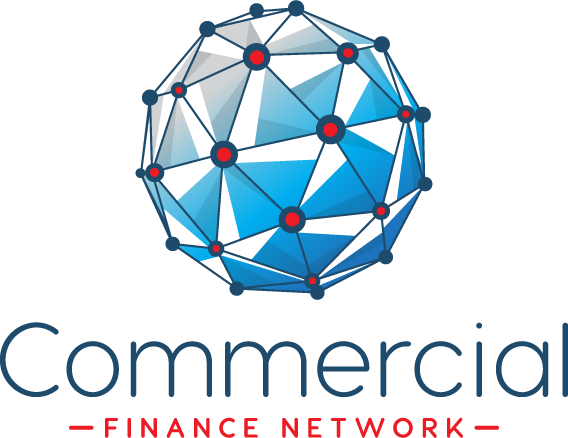 highlights that while 50 per cent of PropTech companies focus on sales/leasing, only 16 and 12 per cent respectively apply themselves in construction and investment/financing respectively. Land acquisition and refurbishment have less than five per cent of active PropTech companies. No companies, from the data sources used for the report, fell into the category for demolition/remediation. 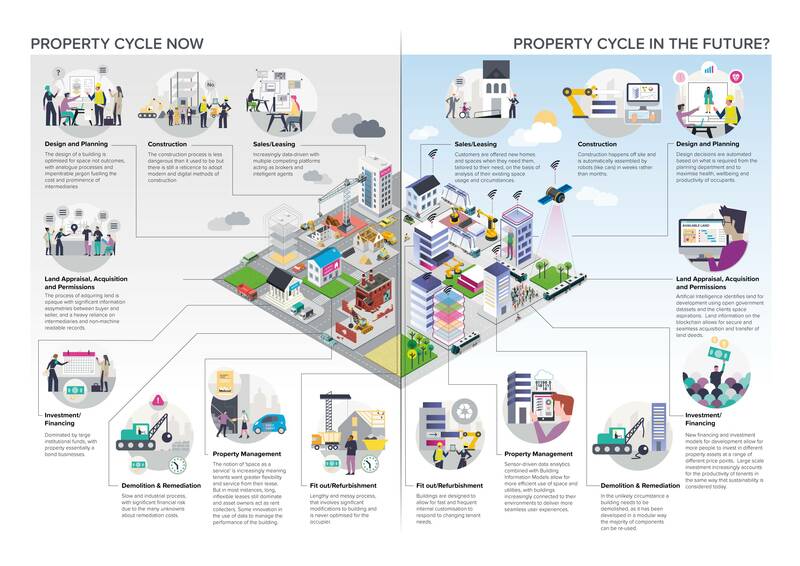 Following a BPF-member survey, interviews and roundtables with key real estate and PropTech leaders, the report finds that there is significant untapped potential for greater adoption of technology to enhance productivity – and that the real estate sector must start by better articulating its pain points across the property lifecycle, so that innovators can better understand where there is more scope for technology to provide solutions. 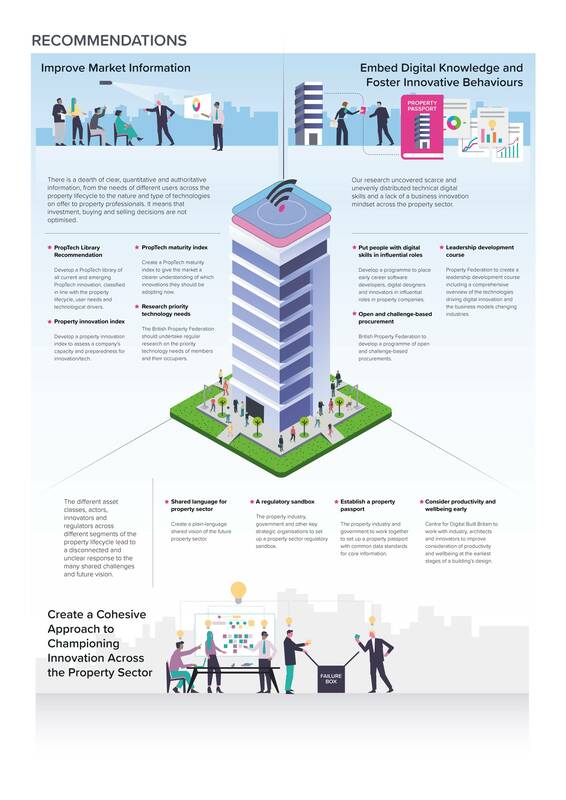 Aligned with and responding to these recommendations, the BPF is setting up a new Technology and Innovation Group for the sector, to oversee its programme and drive closer collaboration across the real estate and technology sectors, to allow the benefits of technology to be maximised, and to preserve and enhance the UK’s reputation as a PropTech leader. The Group will be led by Andy Pyle, UK Head of Real Estate, KPMG and also includes Nick Wright, Senior Director, Strategic Consulting – Investors, CBRE; Susan Freeman, Partner, Mishcon de Reya; Dan Hughes, Founder, Liquid Rei; and James Dearsley, Co-founder, The Digital Marketing Bureau.